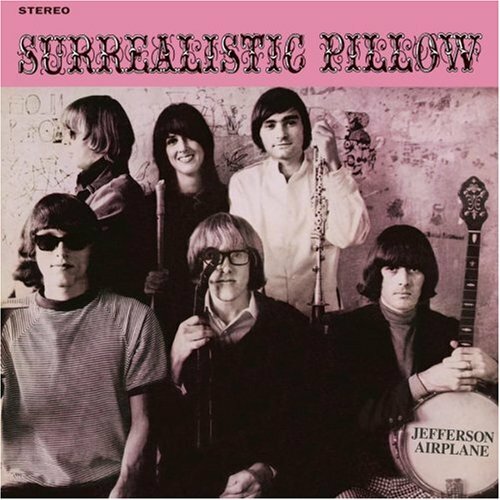 Surrealistic Pillow is part of the genesis of my musical interests. I believe it was the first record I put on when my dad fixed the record player (I recall him saying, “Wow, it’s been so many years since I’ve heard this”). I chose it for this honor because I had heard of it, it was pretty, and the people on the front cover looked cool. Pretty much immediately I was hooked, and dubbed a tape, with Sounds of Silence on the B side. That tape was a fixture of my car’s tape deck for the rest of high school, and spurred many discoveries of 60s music to come. It also started my love affair with bands that have many male and female voices singing at once (see Fleetwood Mac, Arcade Fire, The Mamas and The Papas, etc). Grace Slick is another person who doesn’t seem like she’d be easy to get along with socially (see Lily Allen, Lady Sov), but she can belt it out and is willing to ego-duel with the best of them, which is respectable. Let the record show that I believe without Plastic Fantastic Lover, there would have been no Beck. I also love the extra tracks on the remastered version. They’re great songs that could have fit in perfectly on the original album. I wish I knew what this sounded like in 1967. By which I mean, did it sound crazy and groundbreaking contemporarily? After Bathing at Baxter’s, the followup to SP, clearly sounds drug-fueled and experimental, even now. Both albums were released in 1967, but the things that took place between the creation of each album (The Summer of Love) made all the difference. Which leads me back to how Surrealistic Pillow might have sounded then. To me now, it sounds quite like a pop record with classic 60s guitar sound, while ABAB sounds much more surreal. The subtext in Surrealistic Pillow (“Feed Your Head” and lyrics about buying “nicotine” that’s obvious marijuana, not cigarettes) is maybe just less sub in ABAB.